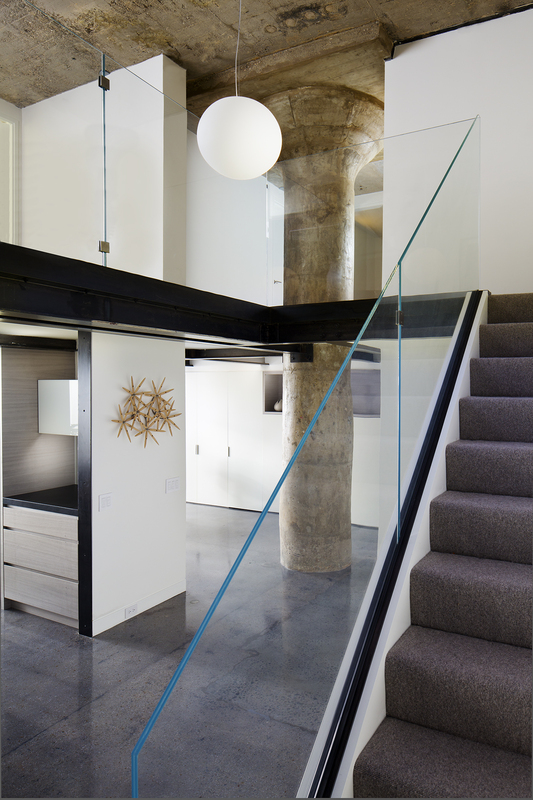 We designed this ground floor loft in an old industrial building for art collectors with young children. 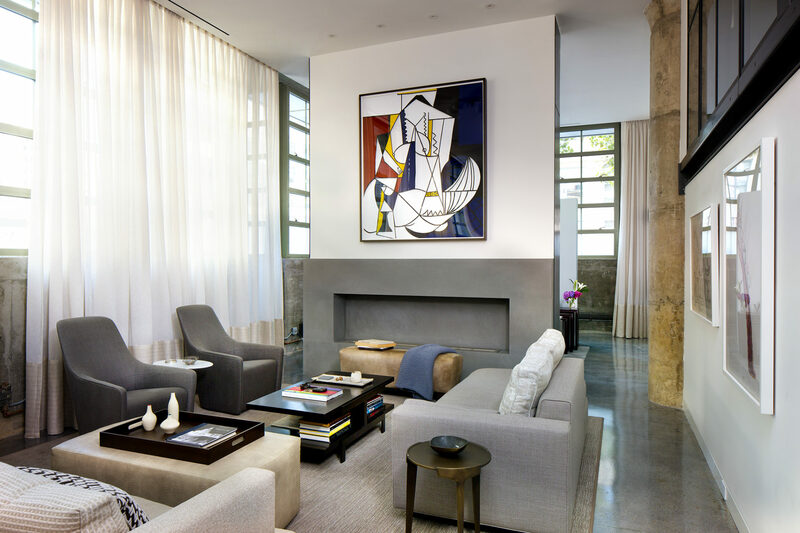 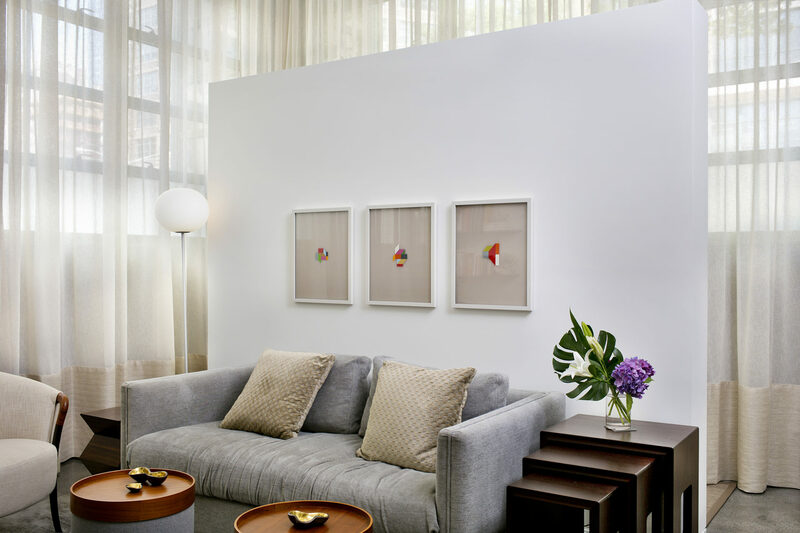 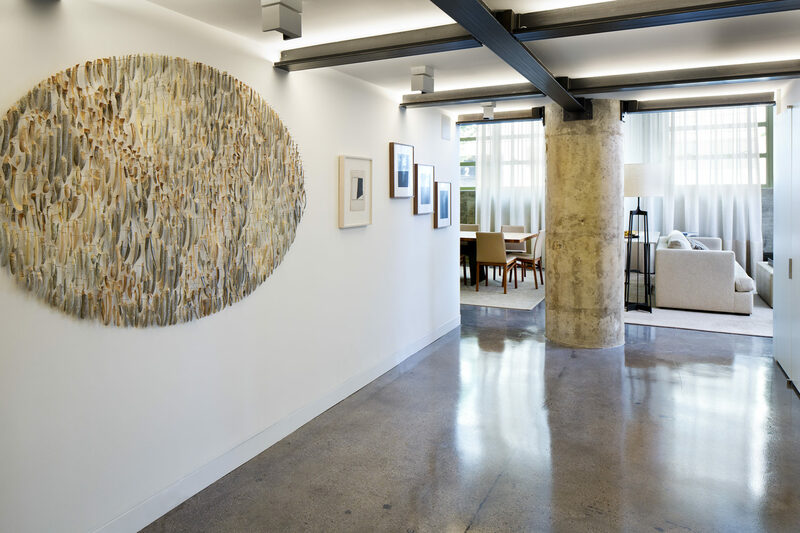 Our approach blends the original architectural language with a clean modern aesthetic intended to showcase the family’s extensive art collection. 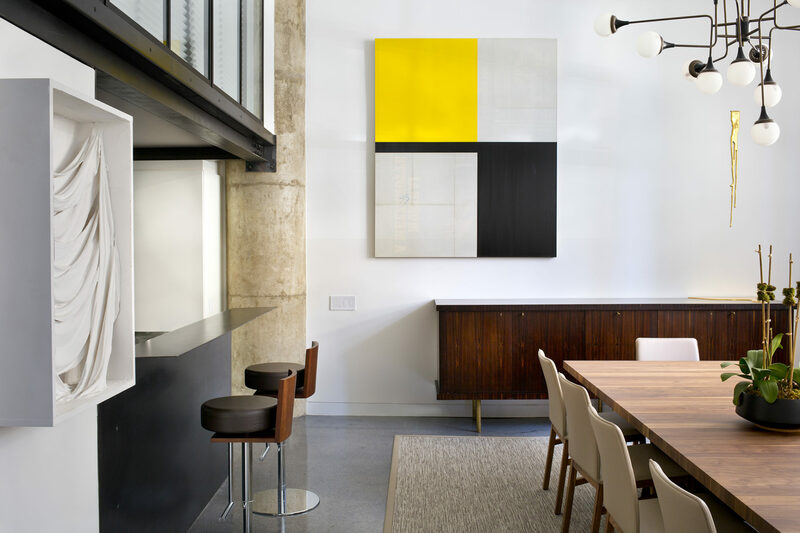 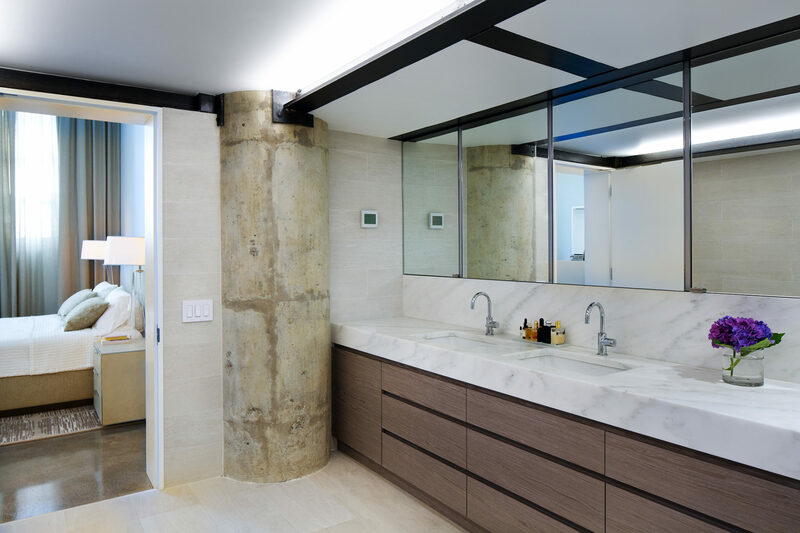 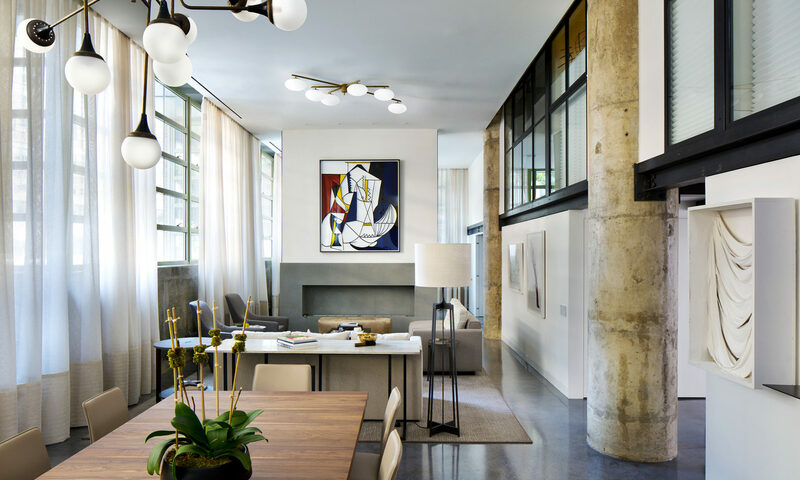 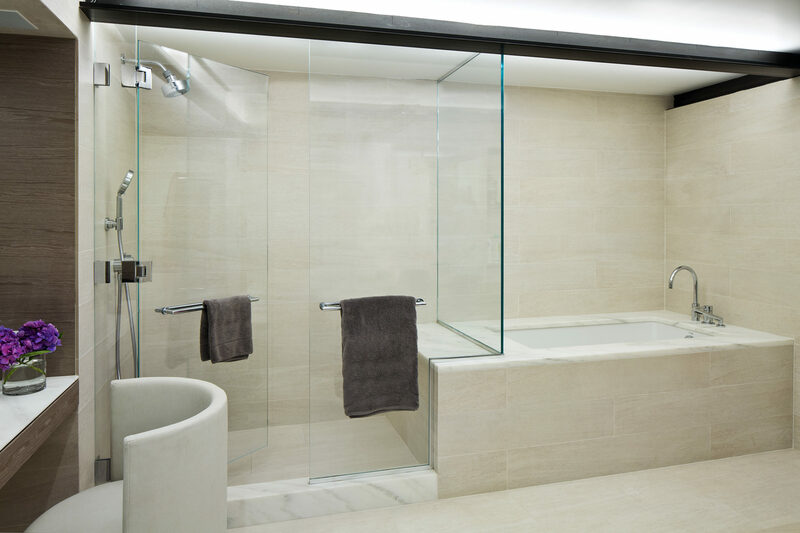 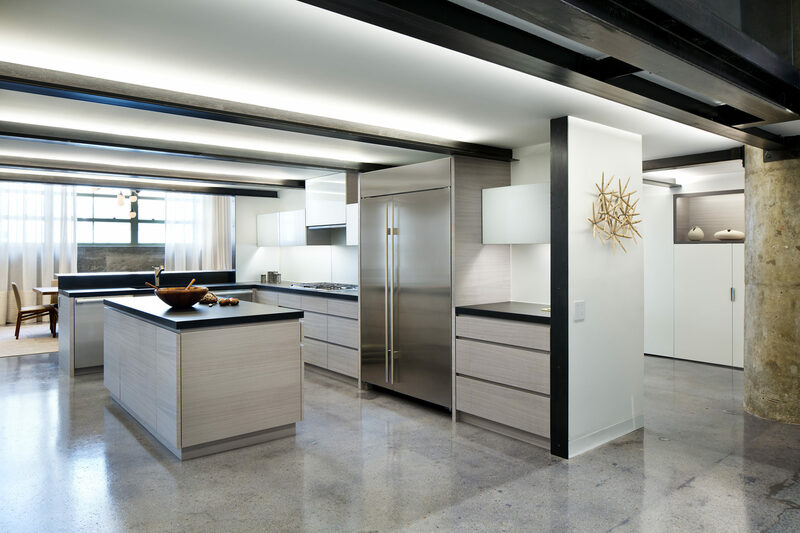 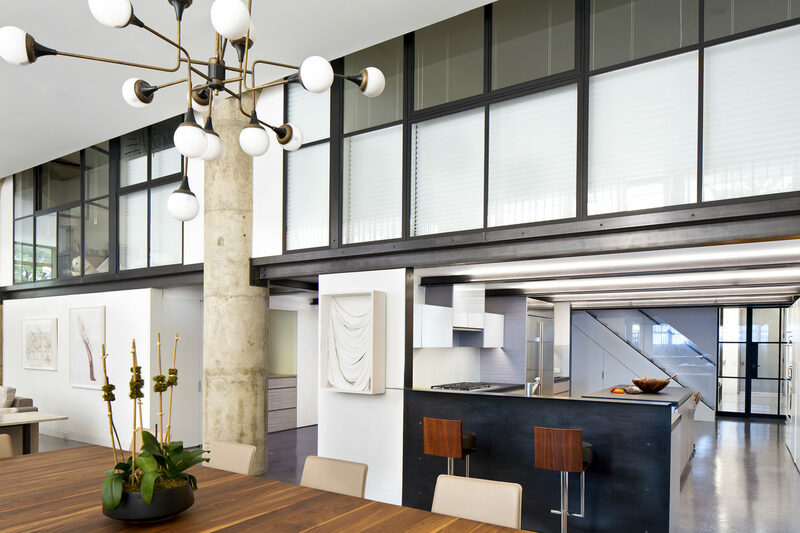 Raw concrete floors and columns contrast with the refined, minimal insertions of the kitchen, bedrooms, and bathrooms. 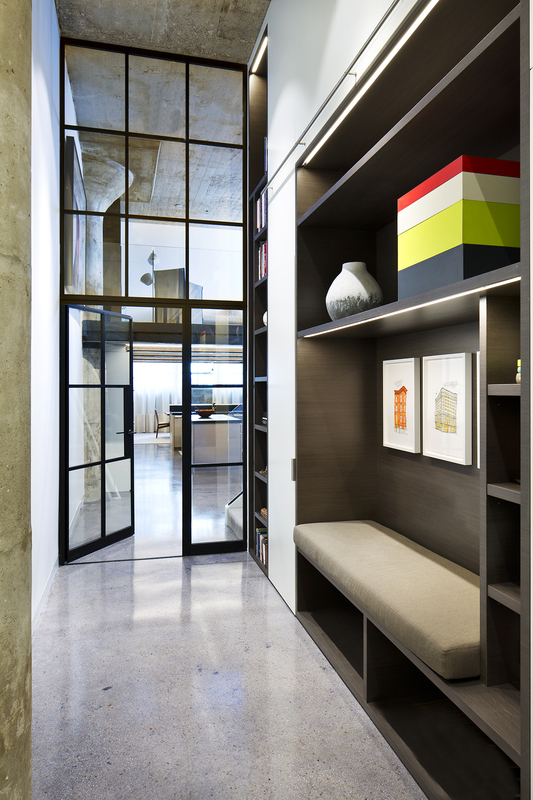 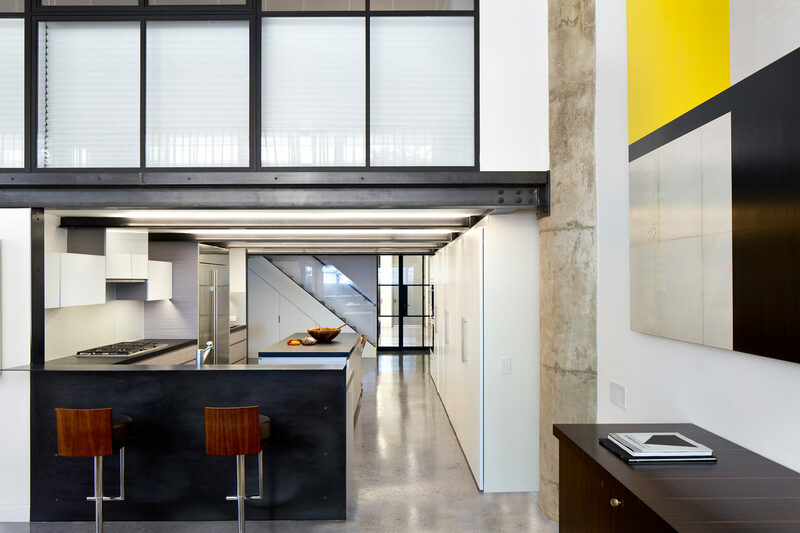 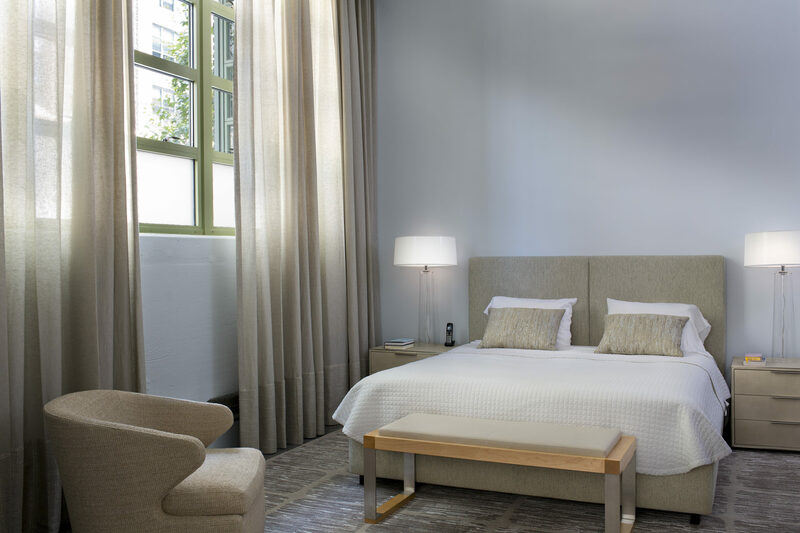 Interior steel and glass window walls of the mezzanine bedrooms face the double height space of living/dining/library and recall the exterior steel windows at the street.